A man was charged with assault and a woman was arrested after a fight at a home in Bexhill on Saturday (January 9). Police were called at 5.30am to a report of assault inside a property in Reginald Road. When they attended they found, three men who had been invited to a gathering at the home by the occupants had all got into a fight. Karl Cooper, of Reginald Road, was charged with three counts of assault by beating after the incident on the same road. 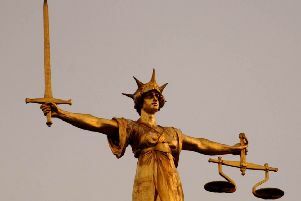 The 39-year-old pleaded not guilty at Brighton Magistrates’ Court on Monday (January 11). Cooper’s case was adjourned until March 1, at Hastings Magistrates’ Court. A 33-year-old Bexhill woman was arrested on suspicion of obstructing a police officer and assault. She was questioned and released on bail until February 12.